Learning how to flip a house and make money can open up new money making opportunities to anyone who likes to speculate in real estate. 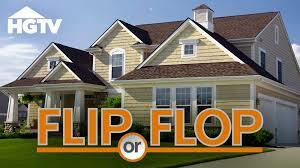 There is a fine line between making money flipping a house and having it turn into a money losing fiasco. It all comes down to finding the right house to flip and being realistic about the cost and timeline for the renovation project. Taking the time to think a flip through and do some planning can save a lot of money and heartache in the long run. Let’s face it, flipping a house sounds very alluring to anyone who likes to make money. Television shows, such as HGTV’s Flip or Flop, have popularized the idea of house flipping to make money and brought wide awareness to the fact that people are making money every day flipping houses. But, of course, like most things, it is not as easy as it appears on television to flip a house. A person who buys a house that is in poor condition with the intention of fixing it up and selling it has to be realistic about the fact that unexpected costs and delays often occur when trying to fix up a house that has fallen into disrepair. There is the potential for the costs to be so great that a house flip turns into a money-losing venture. The difference between making or losing money on a house flip is often determined before a flipper even buys a property. This is because proper planning and realistic expectations are crucial to making money as a house flipper. While you may not be able to know the exact condition of a home you are considering buying as a flip, you can do research regarding expected issues that may come u, given the home’s age and condition. You can use this information to formulate a price to buy that makes economic sense, based on how much money you need to invest in the house to bring it to modern standards. Since, homes that are in poor condition often have unexpected problems that cannot be foreseen, it is a good practice to increase your renovation estimate by ten to twenty-five percent to account for unexpected surprises once you get to work. Having a ten to twenty-five percent contingency built into your cost estimate will help you avoid house flips that have the potential to turn into money losers. At the end of the process, if the contingency money is not needed, then it will add to your bottom line profit when you sell the house. You should also research what similarly sized houses in the area are selling for that are in updated condition and if the real estate market in the local area is trending up or down. 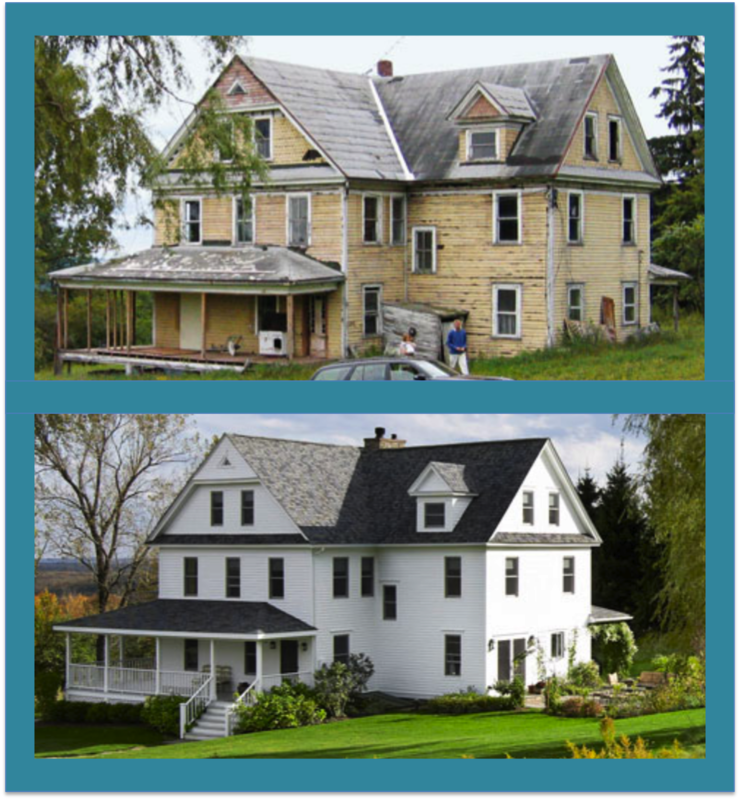 Keep in mind that there are many factors that ultimately determine a house’s value. These include, but are not limited to: schools, access to transportation, the view’s the house provides, and nearby recreational facilities. These are important considerations to think about, so you can develop a realistic expectation regarding what the house you are considering flipping will sell for once it has been renovated and is on the market and up for sale. The most crucial moment in the house flipping process is when you add up your estimated purchase price, renovation costs, and contingency and compare the total costs to what a modern renovated house of similar size in the area you are flipping is selling for at the moment. If the profit potential is high enough to justify flipping the house, you can make a sound decision regarding whether to proceed. To flip a house and make money, it is important to focus on certain parts of the house flipping process. Once you have selected and purchased a home that is economically suitable for flipping, stay focused on what you need to do to renovate the house as quickly as possible, implementing the most important upgrades, so you can present your renovated home to homebuyers. Set up a realistic project schedule, keeping in mind which tasks should be done before other tasks. Chances are your schedule will be blown at some point during the renovation project, but it is a good idea to have a schedule, so you know how things are progressing. Find good contractors to work with. Your reputation as a home renovator is at stake and you want to save money. The best way to keep your reputation in good standing and save money on your house flip is to find good contractors in your area that charge reasonable rates. If you get your house flipping business going, you should be able to secure some discounts from contractors that you use often. Contractors like to secure relatively steady work, and will likely cut you a break in exchange for consistent work opportunities. Be prepared to get your hands dirty and get to work. Many house flippers actively work on tearing apart and renovating the homes they are flipping. This hands-on approach has a number of benefits. First off, you can save a decent amount of money that will increase your profits once you sell the house. Secondly, it ensures that you are engaged and involved in the house flip and you are there to make quick decisions when expected circumstances arise. This too will ultimately save you money, since you can quickly decide how to proceed and get your contractors back to work. 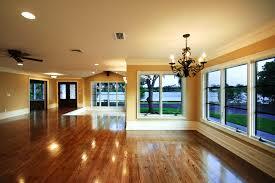 You cannot afford to have contractors work only a part of workday when you are flipping a house. Do not forget about the exterior of the house when you are getting ready to list it for sale. It does not matter how nice a house is inside, some buyers will not even come in and take a look if the outside is unappealing. Make sure the house has enough curb appeal to entice buyers to come in and take a look. 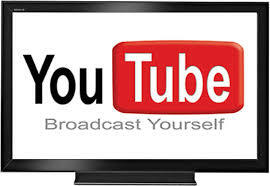 If you are wondering how to make money using YouTube, you have come to the right place. You may have heard about friends making money by setting up a YouTube channel, as many people have taken to YouTube in recent years to supplement their income. The reality is that it can be done and relatively easily to do; however, to maximize your money making potential, it does require some thought regarding how you approach setting up a YouTube channel and what kind of videos you upload. First off, let’s take a look at how people are making money using YouTube. Up until now, a person running a YouTube channel made money using YouTube exclusively through advertising that either preceded or accompanied their videos (in a small ad box along the bottom of the video). To make the viewing experience better, YouTube does not include advertisements before or during every video that is viewed. Instead, just a percentage of them include advertisements. In the end, YouTube keeps 45% of revenue generated by advertisements, while a person running a YouTube channel gets paid 55% of advertising revenue generated by their videos. Not a bad deal! 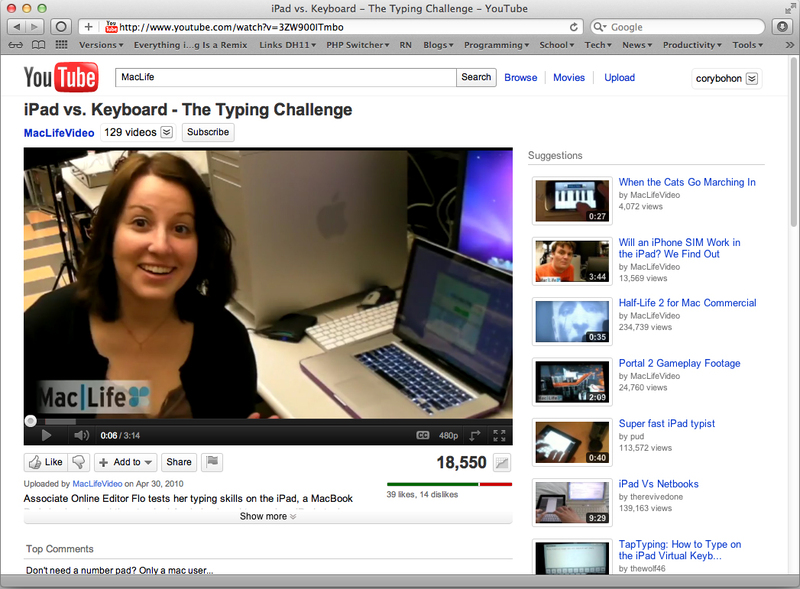 While it varies year to year, a person running a YouTube channel makes about $7 to $8 per 1,000 advertisement views. Do not mistake this for video views. Since advertisements do not run during each video view, it might take 5,000 video views to generate the $7 to $8 in earnings. It is a high bar to make a few dollars, but not unachievable. If you are creative and come up with video content that generates a lot of views or goes viral, you can make a lot more than $7 to $8 in earnings at a time. YouTube is in the process of adding a $10 per month subscription service for users that do not want to see advertisements when they watch YouTube videos. The revenue from the subscription service will be shared with YouTube authors at a rate of 55%, which is consistent with the share rate for revenue earned through advertising. Per YouTube, they will pay 55% of the total net revenues recognized by YouTube from subscription fees that are attributable to the monthly views or watch-time associated with the content on a YouTube channel. Knowing how much money can be made running a YouTube channel, let us take a look at how make money using YouTube. As with any business venture that you just getting start with, knowledge is power. The more you know about how to properly set up and run a YouTube channel, the better you will be at it and the more money you will ultimately make. Once you become established on YouTube, you can join the YouTube Partner Program, which allows you more freedom regarding video length and other video parameters. 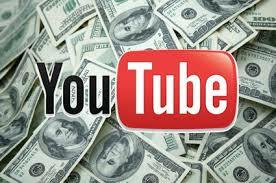 Here are some tips regarding how to make money using YouTube. Keep in mind that not all money making opportunities associated with YouTube are directly tied to earning money through the site. YouTube can also be used as a great resource for promoting other online ventures that you have to drive traffic to those sites. Take videos while you travel, especially of places that many people want to visit. You might not think of it while you enjoy a vacation, but there are some excellent opportunities to shoot videos at popular vacation spots and share them on YouTube. Just do not make them too personal. Focus on some of the more exciting and picturesque aspects of the location you are filming. Take videos of your pet. If you have a pet that has funny habits or is just entertaining to watch, why not turn them into a YouTube star? People love pet videos, especially humorous ones. Make yourself the star of your YouTube videos. This approach may not be for everyone, but some of the most successful YouTubers have simply created a following by filming themselves doing things they do every day or ranting about life. If you find the right niche and have an appealing personality, you too can be a YouTube star. If you are adventurous, start a television series on YouTube. This is obviously not for everyone and takes a lot more time and financial commitment than just filming your cat or a personal rant. But, if you are a creative and ambitious person, producing a television series on YouTube could be rewarding both personally and financially. If you have an expertise in a subject matter, put together a tutorial or demonstration in a video. One of the most popular uses for YouTube, besides entertainment, is watching videos to learn how to do something. If you really know how to do something well, such as change a flat tire or braid hair, share it with the world on YouTube. Make a YouTube video that promotes a website that you run or a product that you sell elsewhere online with a link to your site or product. A well-produced video published on YouTube can be a great way to drive business to your website or sell products to consumers. Make sure you have set up a Google AdSense account and select “Monetize” when you publish a video on YouTube, so you can earn money each time an advertisement is shown while a viewer is watching one of your videos. There are many ways to make money on Amazon and eBay. Some are active and involve a lot of effort, while others are passive and involve minimal effort. The important thing is to understand the different ways to make money on Amazon and eBay, so you can join the millions of people that are supplementing their income by making money on these popular online shopping venues. Despite an economic recovery that began years ago, times are still tough for many people. The financial demands of modern life are often just too much to be covered by a regular job. This has lead millions of people to turn to the Internet to find ways to make money. The good news is that there are many ways to make money on the Internet. Amazon and eBay are two of the most high-profile web portals that anyone can quickly start making money by either using them or referring business to them. The active way to make money on Amazon is to open up an Amazon Store and sell items directly to the public. This may seem daunting; however, it really is not all that difficult. Amazon makes it very easy to open an online store through their site. The difficult part is figuring out which items the public is looking for that will generate sales through your Amazon Store. You need to find items that the public wants and cannot be purchased easily at a local store. You will have to buy items in bulk at wholesale cost from a manufacturer or supplier. Once you have them on hand, you can start selling them through your Amazon Store. The passive way to make money on Amazon is to write articles about products sold on Amazon and include advertisements within the articles back to the products on Amazon. Or you could place advertistments for Amazon products on websites that you control. 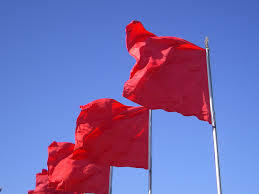 You do not have to have to sell the products directly or even know the people that are selling the products. You just need to set up an affliate account with Amazon and include your affiliate code in the links, so you get credit if someone is referred from one of your advertisements. If products are purchased by a person who was led to the product on Amazon through one of your referral advertisements, you get paid a comission that ranges from 3% to 10%. Amazon sweetens this arragement by paying you a commision based on a referred customer’s entire purchase. This can lead to significant earnings. For example, if you write an article about gardening tips, and someone follows a referral advertisement link alongside your article to order a gardening book on Amazon, and then goes ahead and buys the $30 book and $200 worth of gardening supplies, you will earn a commission on the entire order $230. Not a bad way to earn som extra money. The active way to make money on eBay is by becoming an eBay seller by opening an eBay Store. Find items that the public wants and sell them directly to them through eBay. Do your homework and be determined. Doing some research regarding which products sell well on eBay and how to properly sell them will go a long way in ensuring that you are a successful eBay seller. Use the tools that eBay provides that allow you to see what products are trending towards becoming more popular and which products are currently selling the greatest amount. Try to think ahead of the curve. Read articles and talk to people to identify products that are currently hot and ones that are just starting to get popular. Then, figure out a way to buy them wholesale at a low enough price points that you can profit by selling them on eBay. Although it is not entirely necessary, start out by selling products that you feel strongly about and know a lot about. You will naturally do a better job selling something you believe in and understand thoroughly. Market the items you have for sale on eBay by building a Facebook page that features your store. Another good way to market products you have for sale on eBay is by creating a website or blog that discusses your products to drive traffic to your product offerings in your eBay Store. It is very important to add well written product descriptions and photographs for the products you sell on eBay. Professional looking product descriptions and photographs will serve to increase your chances of getting users to view and purchase your products. Make sure you include relevant keywords in product descriptions, so users find them when searching. The passive way to make money on eBay is to place ads for eBay products on the Internet or write articles about products sold on eBay and include advertisements within the articles that focus on relevant products sold on eBay. Make sure you have a referral account set upwith eBay and link back properly to products on eBay to get credits, if anyone purchases a product from one of your ads or articles. The more you put into selling products on Amazon and eBay, the more money you will make. Use the site’s tools to figure out what products are hot. 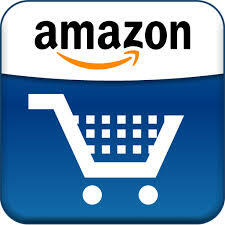 Go beyond the sites and use third-party tools, such as Terapeak.com, which analyzes all sales on Amazon and eBay. Terapeak.com is an excellent tool to determine which are the best products to sell. You must build a good reputation as an Amazon or eBay seller. This will take time. It will require you to be prompt with your order deliveries and do well with responding to customer complaints or problems. Good response times and good customer service will lead to better sales in the long run, since buyers tend to buy from sellers with good ratings. If you are looking for products to sell, check Liquidation.com and Viatrading.com to see if they have deals on products you can sell. Also, check local businesses, garage sales, and thrift shops for products that you may be able to sell online. Looking For Good Paying Jobs Without a College Degree? 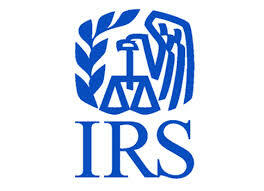 Are you looking for good paying jobs without a college degree? There are many good paying jobs that do not require a college degree. In fact, after a few years in many of these professions you can make between $40,000 and $100,000, depending upon the job and where you are located. Some even have the potential to provide more than $100,000 in annual earnings. These jobs are not necessarily easy and may require learning new skills on the job as an apprentice, but the payoffs can be worthwhile in the long run. A work year usually consists of 2,000 hours, which is 40 hours per week times 50 weeks (2 weeks off for vacation). Therefore, a job that pays $50 per hour will bring in about $100,000 over the course of a year. Here are some examples of good paying jobs that can be had without a college degree. Keep in mind that this is just portion of the good paying jobs that are available that do not require a college degree. Hopefully, this will get you thinking about what kind of profession you want to pursue, even if the profession you ultimately want to pursue is not included in this list. Electrician – Licensed Electricians make up to $50 per hour. Becoming a licensed Electrician requires a two-year apprenticeship under a licensed Electrician to earn a first level Electrician’s license. While you will not earn $50 per hour during the apprenticeship, you will learn how to be a skilled Electrician and will earn a modest wage while you are at it. Not a bad deal. If you really want to make the big bucks, consider starting your own Electrician business. 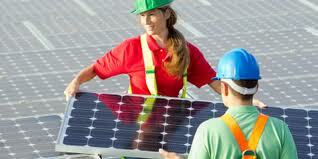 Solar Installer – One way Licensed Electricians can make money and get involved in one of the hottest fields of employment out there is by working as Solar Installers. Solar installations are ultimately about connecting solar panels that generate electricity into a building’s electrical panel by way of an inverter that converts the electricity into a useable format. This work is well suited for licensed Electricians. To give yourself a leg up on the competition in this field, obtain a license from The North American Board of Certified Energy Practitioners (NABCEP). Many solar installation companies look for installers that have a North American Board of Certified Energy Practitioners license. Solar Installers typically make more than $40,000 per year; although being able to do the electrical work on an installation project will likely lead to higher pay. Solar Installation Company Owner – One of the emerging trends is that solar power is experiencing rapid growth, as solar equipment costs are falling and grid electricity costs are rising. One way to cash in on this solar boom that is expected to last for years is to start a solar installation company and employ crews of Solar Installers. An owner of a successful solar installation company can earn $100,000s per year. Handyman – A Handyman is an interesting job because you never know what your next project will bring. If you know how to fix things and do not mind doing small projects, a Handyman might be the right job for you. With people stretched for free time between their professional and personal lives, the demand for Handyman services has never been stronger. Once you have built a reputation as a reliable and competent Handyman, you can earn between $25 and $50 per hour. New work will come from repeat customers and referrals from existing customers. Surveyor – Property Surveyors earn in the range of $40,000 to $60,000 per year, commensurate with experience. A property Surveyor uses specialized equipment to determine the exact property boundaries of property. As long as properties are being bought and sold and redevelopment work continues, there will be ample work for property Surveyors. Oil Field Worker – This is one of the hottest occupations at the moment. Yes, there has been a drop in the price of oil, but so far oil drilling work has not slowed down all that much, and will pick up again once oil prices recover. The one drawback to being an Oil Field Worker is that you often have to work far from home in remote parts of the country. However, Oil Field Workers are paid well for their work, with pay ranging from $50,000 and $100,000 per year. Computer Technical Support Specialist – Computer Technical Support Specialists are in high demand, as just about every aspect of business is done on computers these days, and it is imperative to keep the computers running smoothly. Computer Technical Support Specialists set up computer networks and keep them running for their employers. Pay in this field ranges from $30,000 and $65,000 per year. Software Technical Support Specialist – A Software Technical Support Specialist is an interesting niche in the computer industry. 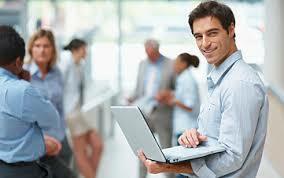 Companies have come to rely upon specific software programs to keep their businesses running. Those software programs often need specialized support that is beyond a company’s Computer Technical Support Specialists’ capabilities. Software Technical Support Specialists usually work as independent contractors for numerous clients that need to fix, update, or just understand how to use their software. Software Technical Support Specialists typically earn between $50,000 and $100,000 or more per year. Search Engine Optimization (SEO) Specialist – Search Engine Optimization Specialists are quickly emerging as key players in company’s online business plans. The reality is that if a company’s website is not showing up in the first page of search engine results, their visibility on the Internet is severely diminished. Search Engine Optimization Specialists earn between $30,000 to $60,000 per year for their efforts that involve making client’s website rank higher in search engine results. Getting a good paying job without a college degree is one thing, keeping it is a whole other thing. Be careful not to get in over your head. Your reputation is much more important than taking on projects that require skills that you do not possess. If such a situation presents itself, use it as a networking opportunity, and refer your customer to another contractor that is qualified to perform the work. 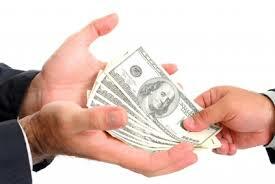 Eventually, the referrals will flow the other way and you will be able to increase the demand for your skills. Content marketing is a huge buzz word in the marketing community, and more specifically the web marketing community. The reason why it is so popular is because it works. Large brands have been using content marketing for decades and smausinesses now have the opportunity to do the same. The internet has changed the game. It gives the littlest voice access to the largest audience. At a moments notice a seemingly awkward video can go viral and blow up overnight. Content marketing is not a new concept. 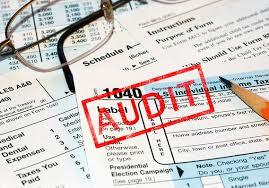 However, small businesses are finally realizing the potential return on investment that it can have. So how can content marketing help your business? Businesses use content marketing to promote their product or service in a way that can help customers develop a need for the product/service, provide solutions, answers, inform, and more. Content marketing comes in many shapes and sizes. On the web content can come in the form of videos, blog posts, images, infographics, and interactive content. Most of all content marketing creates a story, a way for customers to relate with your business/brand/products/services. A way for you to tell people why they need your products and how you differentiate yourself from your competition. This does not necessarily mean that you have to ram advertising copy down the customers throat. Instead you are going to do the opposite. Try thinking about the bigger picture of marketing. Think about how big brands, such as liquor companies advertise their products. For this example I’m going to use Corona. Corona has one of the best uses of content marketing today. It is a fact that Corona isn’t a particularly good beer. Taste Testers and beer specialists have continually rated the beer as below average. However, Corona is one of the top selling beers, and it is also priced among the highest. So how does Corona pull off such a high price and still manage to get a large sales volume even though their product is inferior? It is because of their advertising plan and their use of content marketing to create a brand experience. Have you seen the Find Your Beach Commercials? They are almost impossible to ignore. Corona has found a way to create an experience. Not just a product. People are not buying Corona to get high quality beer. They are buying Corona because of the experience it offers. As a small business owner chances are you cannot afford a massive marketing campaign. However, through the internet you have direct access to your target market. You can use content marketing to reach your audience. Find out what they want to see. What they need to see, And how you can leverage your product or service to create an experience for your target market. For each business this is going to be different. Your target market is different than mine is. Who are the people you are selling to? The first step in content marketing is discovering your target audience and figuring out the best way to reach them. This is not an easy task but with a bit of research it can be uncovered. Find out what content they like, what they are sharing, what they are following. Once you find the content they like you can replicate it with your own special twists. After you find out what your audience likes you can craft a plan to make a story with your brand. Figure out how to reach them and get them to relate to your business, and promote your brand as an experience. For small businesses the easiest and cheapest way to get their content out is through a website and social media. Figure out what social media platforms your market is using and create content specifically for that target customer using the best practices on the particular network. Blogging is another great way to provide a brand experience and reach your audience. You can even use your blogs on social media sites to further to promote your brand. Just remember the trick to content marketing is to create an out of this world experience for your customer. Find a way for your customers to relate with your business. Stay up to date on stock business advice by getting on our FREE eMail list!